When U.S. Citizenship and Immigration Services approved your application for American citizenship, you received a Certificate of Naturalization. This document serves as proof of your new U.S. citizenship. 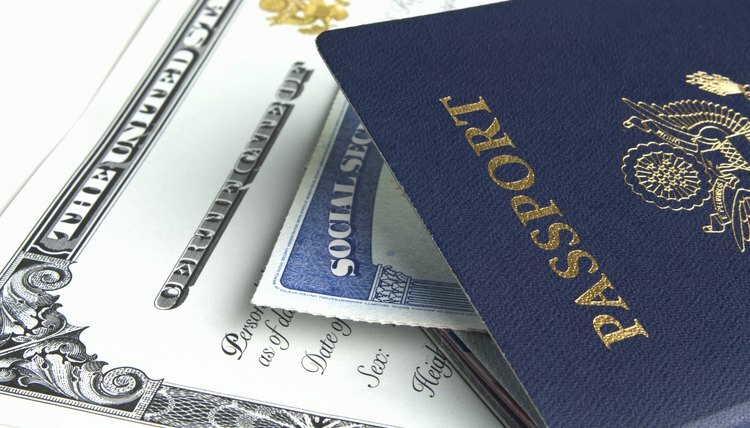 In addition to including your photograph and information like your name, age, date of naturalization and country of former citizenship, it also contains a unique certificate number. This is your American citizenship number, commonly known as your C-File number. Your C-File number is located in red type at the top of your Certificate of Naturalization. This number is present on all naturalization certificates. It may be possible to also locate this number on the court index referencing your naturalization petition or the petition itself if the number was added when your citizenship was approved. If your naturalization certificate is lost, mutilated or destroyed, you can request a replacement by submitting Form N-565, Application for Replacement Naturalization/Citizenship Document. If you have a Certificate of Citizenship, proof of American citizenship for persons born abroad to American parents, this document also has a C-File number. This number is present on all citizenship certificates issued on or after September 27, 1906. If you need to order a replacement citizenship certificate, you can also use Form N-565. U.S. Citizenship and Immigration Services: Where Do I Find a C-File Number? Jane, Mary. "How to Find Out Your American Citizenship Number." , https://legalbeagle.com/5669632-out-american-citizenship-number.html. 07 June 2017.